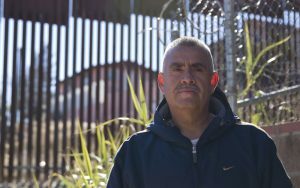 NOGALES, ARIZONA – As President Donald Trump signed executive orders in Washington to build a wall and increase enforcement of the U.S.-Mexico border, Carlos Santa Cruz’s small section of fence behind his house was quiet and serene. A landscaper in Nogales and Rio Rico, he has lived right next to the border for 37 years and has seen the changes that have come with different presidential administrations. But his feelings are mixed, because as the wall has stretched higher, it has strained Nogales’ relationship with neighboring Mexico. In a speech following Trump’s signing of the two executive orders, the president said his measures “will save thousands of lives, millions of jobs and billions and billions of dollars” while enhancing the U.S.’s relationship with its southern neighbor. And he reiterated that Mexico would reimburse the U.S. for the cost of construction. The orders call for the government to “immediately plan, design and construct a physical wall along the southern border,” add 5,000 new Customs and Border Patrol officers, triple the current number of Immigration and Customs Enforcement officers and strip federal grant money from sanctuary cities, among other provisions. Nogales is the busiest international crossing in Arizona for workers, shoppers and a hub for international trade. More than 60 percent of Nogales’ sales tax comes from Mexican shoppers crossing the border daily, according to the Arizona-Mexico Commission. 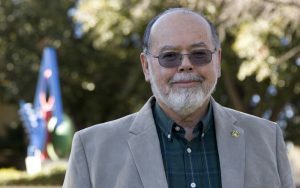 The mayor of Nogales, John F. Doyle, said even if the increased border security is not targeting legal border crossers, the message Trump is sending to Mexico will hurt the border economy. Business leaders on the border are concerned that damaging the U.S.’s relationship with Mexico will have far-reaching consequences, Doyle said, because Arizona’s economy not only greatly benefits from border shoppers, but the U.S. is dependent on produce imports as well. 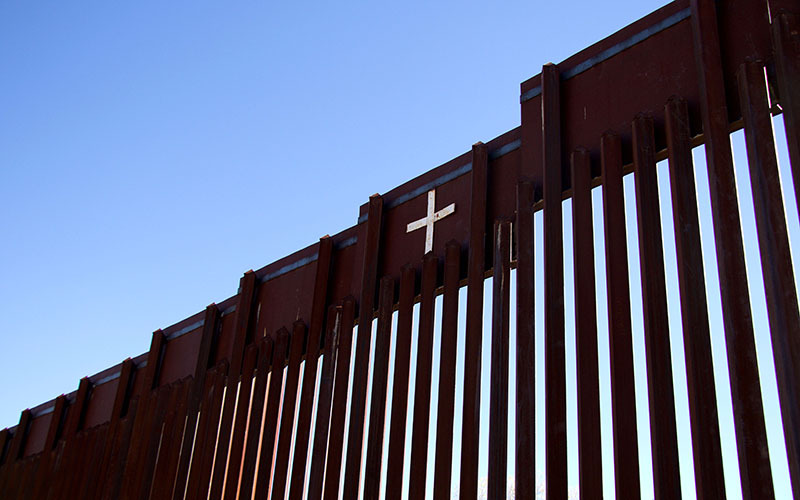 A Cronkite News-Univision News-Dallas Morning News poll published in July 2016 found that the majority of residents of U.S. and Mexico border cities oppose a border wall — 69 percent on the Mexico side and 59 percent on the U.S. side. But others praised Trump’s promise to go after and deport criminals living in the U.S. illegally. Maria Espinoza, co-founder and national director of the Remembrance Project, said crimes committed by undocumented immigrants, especially murders, are more important than any negative economic impact from increased security. Trump specifically recognized her organization during his speech at the Department of Homeland Security. Tony Estrada, sheriff of Santa Cruz County for 25 years, said Trump’s wall will not stop crime or drugs. Paige Corich-Kleim, a desert aid worker for No More Deaths, an organization that advocates for migrants, is concerned the new border enforcement measures will only make crossing the border more dangerous. Political leaders in Arizona had mixed reactions to President Trump’s executive orders. Phoenix Mayor Greg Stanton is concerned the wall will damage Arizona’s relationship with Mexico and therefore Arizona’s economy, which he said draws 100,000 jobs on commerce with Mexico. The City of Phoenix opened a trade of office in Mexico City last fall. The governor was in Mexico City 10 days ago to discuss economic development opportunities. A few hours after Trump’s speech, Mexican President Enrique Peña Nieto tweeted a video statement saying Mexico would not pay for the wall.